Home and working space of the eminent Victorian artist and President of the Royal Academy, Frederic, Lord Leighton, the Leighton House Museum in Holland Park is worth a visit at any time, but especially now, as it currently hosts an exhibition called ‘A Victorian Obsession’, including paintings by Burne-Jones, Alma-Tadema, Millais, Perugini, Waterhouse and Leighton himself. I went there yesterday and was charmed. Both house and art reveal the influence of foreign travel on the intrepid, or sometimes just wealthy, Victorian travellers and artists, most particularly, though not exclusively, the near and Middle East. 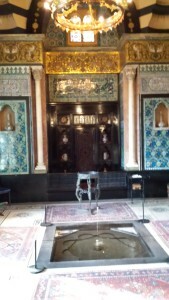 Leighton had his house constructed as a centre for the arts and the magnificent Arab Hall displays his collection of Damascene tiles from the 1500s and 1600s within an appropriate setting. 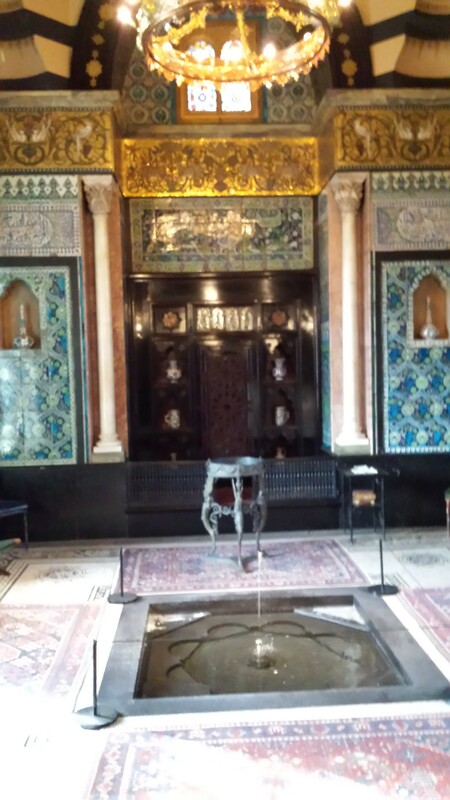 Similar elaborately decorated interiors can be found across the Arab world, but the Leighton House has its own little slice of Andalucia in west London. 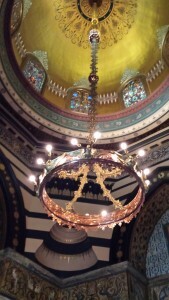 Water, as always in Arab culture, is a particular element, its sound can be heard from the encased viewing balcony on the first floor as well as throughout the reception rooms. The exhibition, from the Perez Simon collection, runs until 29th March, entrance to both exhibition and house is £10 ( and concessions ) and the Museum is open every day except Tuesday. Although the Royal Borough of Kensington and Chelsea web-site urges folk to purchase tickets on-line in advance, the booking agent often indicates unavailability when tickets are available, so it’s worth a phone call to the Leighton House itself instead. Tickets can be purchased at the door. The paintings, with one, particularly grand, exception, are small scale and show the influence of both the Pre-Raphaelite and Aesthetic movements. The ‘obsession’ referred to is with the idea of female beauty, so there are lots of languishing beauties, many with the strong jawline and cascading tresses of the Pre-Raphaelite girls, but plenty of Greco-Roman ladies as well. 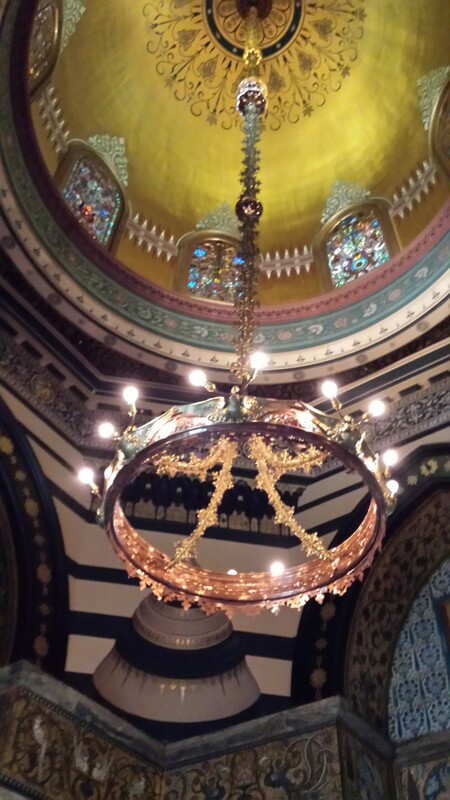 Check out the ‘JulieJ’ Pinterest site for more images of Andalucia ( photography is not permitted in the Leighton House, as I discovered ).